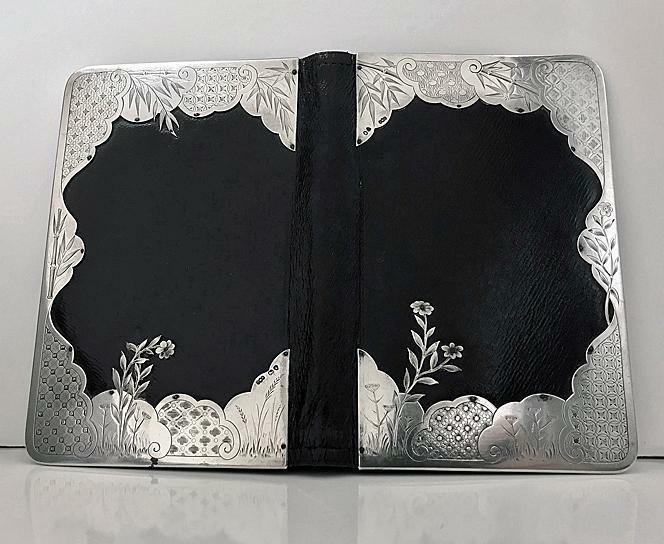 Antique Silver and Leather Notepad Wallet, London 1878, Henry Dee. 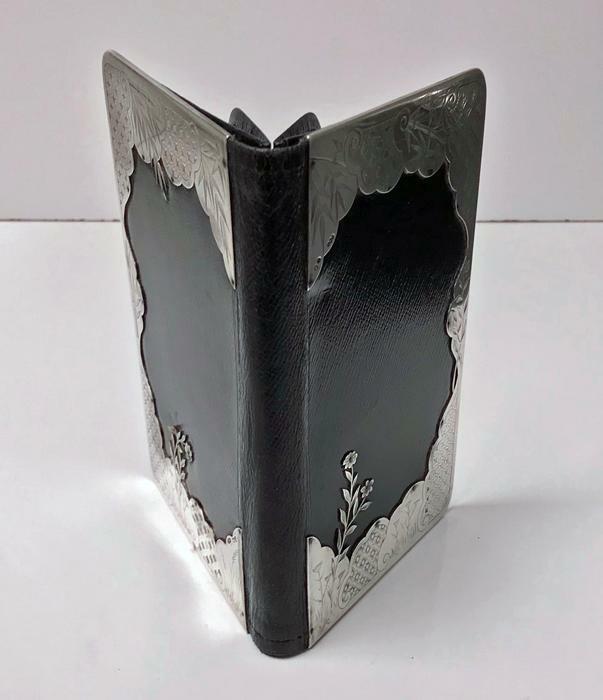 Elaborate silver decorated cover and reverse with stylised aesthetic movement foliate engraving on black grain leather. 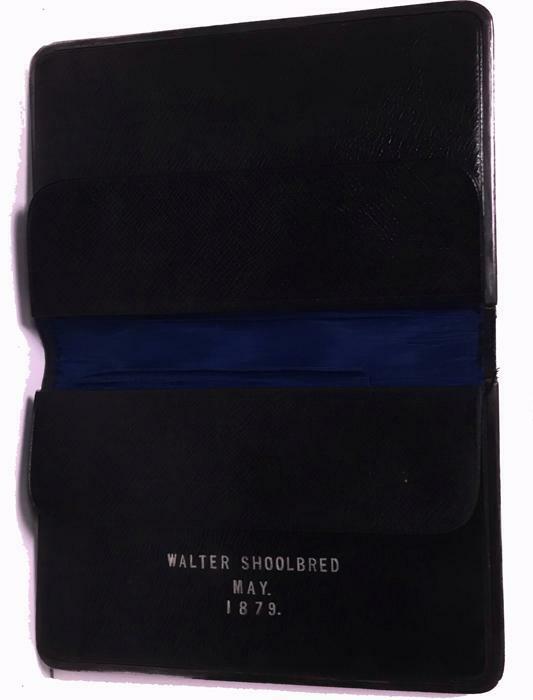 The interior with two leather and blue satin dividers, the leather stamped for Walter Shoolbred May 1879. 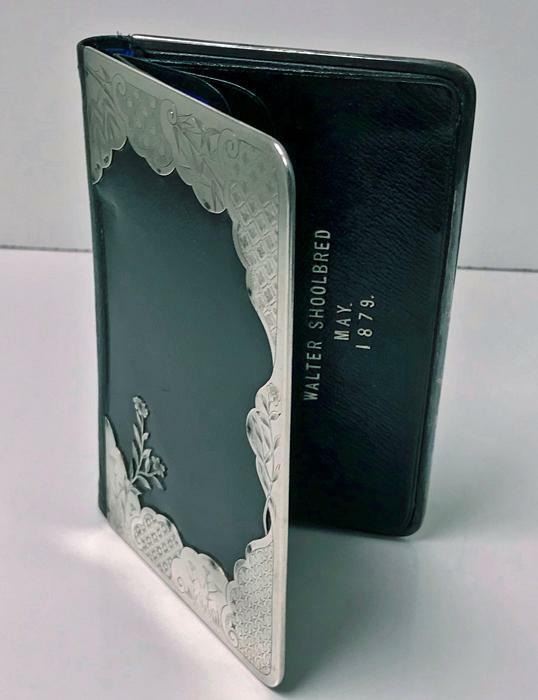 Measures: 6 x 4 inches.